HIJOBS is dedicated to making things easy. Well not everything, but in this case finding a job. We have built a team and a world class service solely around delivering the best possible job seeking experience. We pride ourselves on being able to deliver highly relevant job opportunities to people in the smallest communities in which they feel so at home. The fact we love what we do, we are proud of what we have achieved and excited about the opportunities we can create means that this ever evolving idea continues to grow. From our humble beginnings in a cupboard in Fort William we have built an award winning, community focused business. Our entirely self-service offering not only delivers results has also allowed for rapid expansion across the country. Our small, close knit team lead by Software Engineers (and a spaniel) brings a whole new outlook to the traditional area of recruitment. Welcome to the new way of matching people and jobs, its simple and you’re going love it. 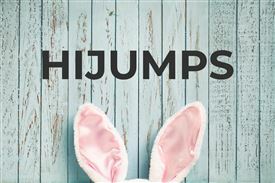 Get the latest jobs from HIJUMPS sent direct to your inbox!